This entry was posted in Recitals on 22/03/2017 by David. The Sunderland Pianoforte Society presented an attractive and demanding programme last Tuesday. 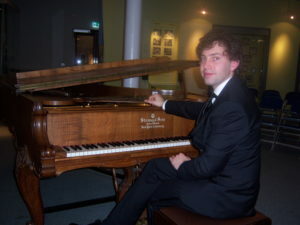 The pianist was Harry Nowakowski-Fox, a Young Steinway Artist who has won a number of prizes, including the grand prize at the Windsor International Piano Competition. He commenced with Schumann’s Kinderszenen (“Scenes from Childhood”), a set of short pieces which are not for children, but are an adult’s recollection of childhood, for adults to play. The recital continued with a spirited performance of Sonata Opus 53 by Beethoven, dedicated to his friend Count Waldstein. A high degree of technical dexterity is required to play this sonata, and Harry was well able to demonstrate this, and to produce a considerable range of dynamics and sonorities from the piano, making for a most effective performance. The first piece after the interval was Chopin’s Fantaisie in F minor which has an unusual design, as befits a fantasy, and the contrasts were well-handled. The final work in the programme was more Schumann: Kreisleriana Opus 16. Kreisler was a fictional character, an eccentric conductor who found consolation at the piano. Harry Nowakowski-Fox gave a thoughtful treatment of this set of pieces, bringing out the various moods of the eight movements, and maintaining interest throughout. As an encore he played again the best known piece from Kinderszenen: Träumerei (“Dreaming”). 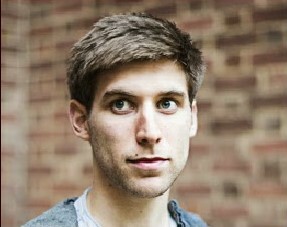 Harry is an exciting pianist; it will be well worth following his career as it develops. This entry was posted in Recitals, Reviews on 16/03/2017 by David.